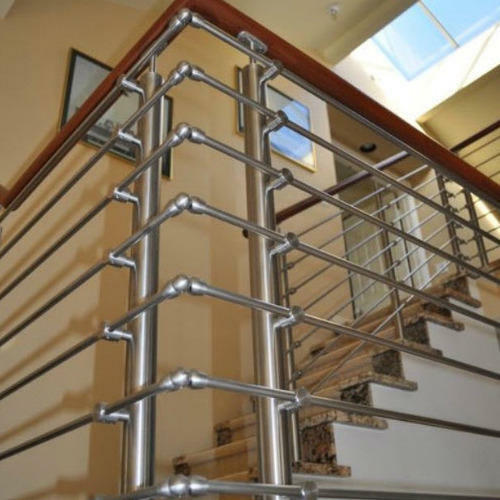 The Stainless Steel Round Bar Railing System is the most popular and budget friendly modern system. 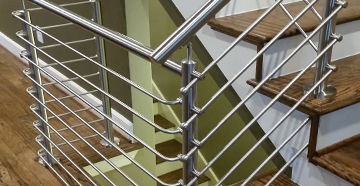 Round Bar Railings offer a fresh modern look and are a stylish and very affordable option for railing on a staircase or balcony. The 1/2" round bars provide a contemporary look with minimal obstruction to your view. The round bars slide securely into the "Round Bar Holders" allowing the bar to be attached safely to a Round Newel Post or to any Flat Surface.